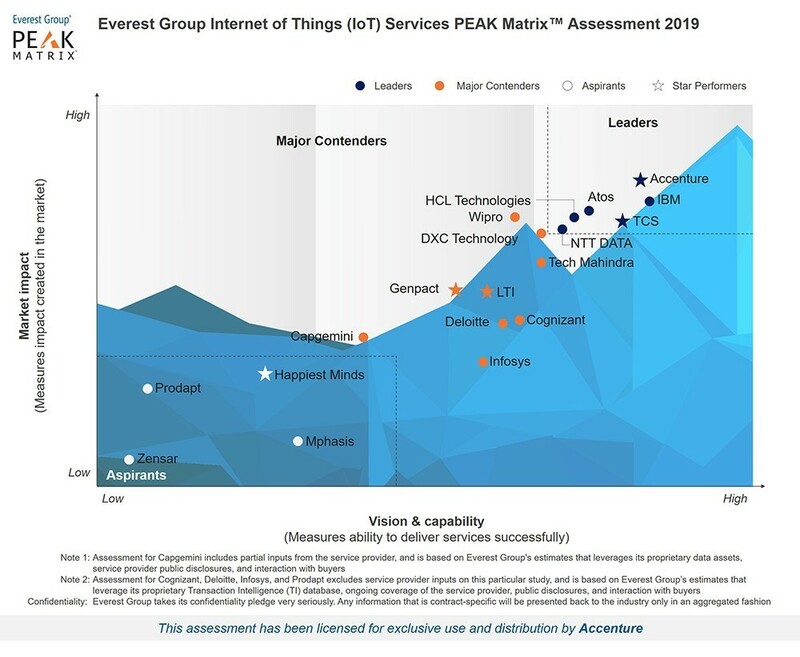 Accenture has been named a Leader in the Everest Group’s Internet of Things (IoT) Services PEAK Matrix™ Assessment 2019 report for the third consecutive year. It received the highest marks in the Market Impact category and was named a Star Performer based on based on year-over-year growth. Everest Group highlighted Accenture’s end to end IoT capabilities, strong ecosystem of partnerships and global delivery capabilities. A distinguishing feature of Accenture’s 2018 market success is its customer intimacy and partnership approach, which leads to high client satisfaction, according to the report. 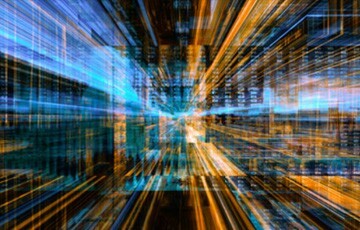 “Our IoT capabilities help companies drive new levels of monetization and efficiency from disruptive technologies and connected intelligent devices,” said Aidan Quilligan, managing director and global lead for Accenture Industry X.0. “As enterprises gain confidence in IoT and expectations from service providers rise, a blend of mature in-house solutions and advanced technologies has helped Accenture deliver transformational impact for its clients,” said Yugal Joshi, vice president, Everest Group.